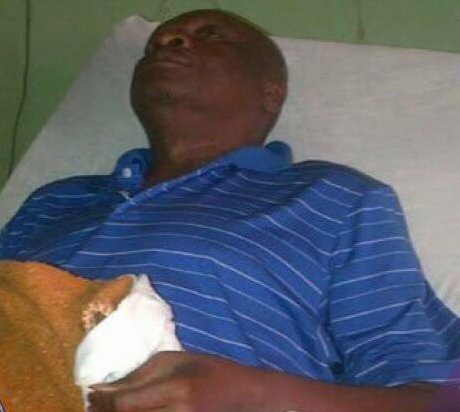 According to reports reaching us, veteran Nollywood actor, Olumide Bakare is dead. The actor had been ill for over a year Olumide Bakare, we hear, died this early this morning, Saturday, April 22, 2017 after a lengthy heart and lung illness which kept him confined at the University College Hospital (UCH), Ibadan. Reports have it that, in the middle of the night, and was said to have casked to be taken to UCH but he was declared dead on arrival at the hospital. According to Tribune Online, actor Saidi Balogun said he received the news of his death with shock. “Yes, it is true Olumide Bakare is dead. He died on his way to his hospital. When I called his number, his personal assistant picked his phone and told me he was dead. That’s how much I can say for now,” Balogun is quoted as saying. We will keep you updated as developments unfold.